For those gamers using older, non-amplified headsets, Prif have developed the Crescendo 1. 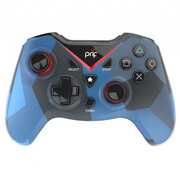 Via simple controls and with its own contoured battery source, the gamer has the chance to increase or reduce game and chat sound as well as mute chat without taking their hands off the controller – a vital feature during those frenzied firefights. Delivers up to 20 hours of battery boost for your PS4 controller whilst also giving amplified audio in one accessory. Battery charges in just 2.5 hours. 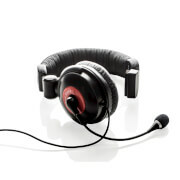 Delivers a sonic make-over to your old headset performance!